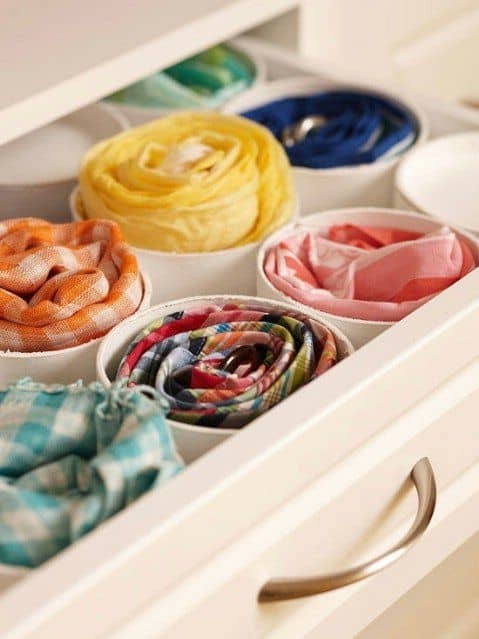 If you’ve amassed a good number of scarves over the years, chances are you’ve wondered how you can organize and store them properly. 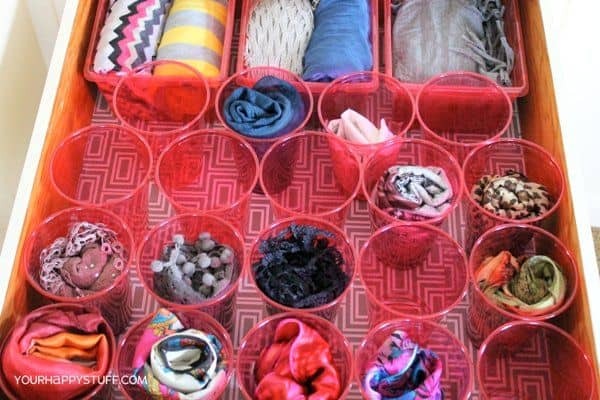 Today we’ll give you 10 creative ideas for scarf storage. Some may require you to get crafty, while others are very straightforward. Of course, whatever method you choose will depend on your lifestyle, your room size, your free time, and your closet needs. 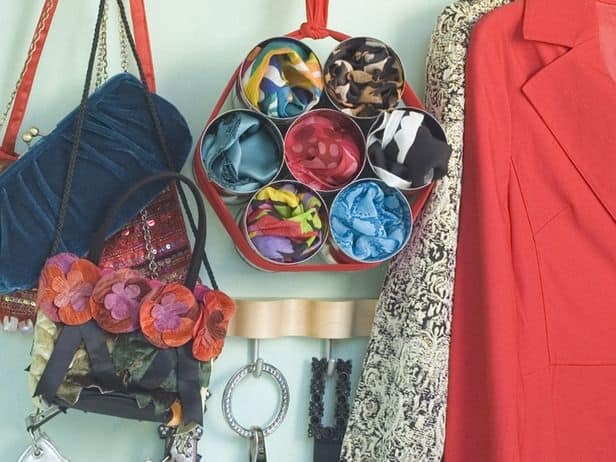 One thing great about these scarf organizing tricks is that most of them won’t require you to shell out too much money. 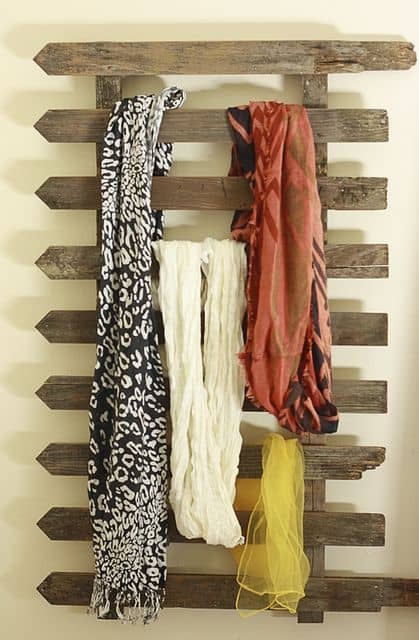 Turn an old scrap of a fence into a scarf organizer. If you don’t have a spare fence to use, you can try an old window rail that has horizontal bars on it. Don’t forget to clean it first. Now you can see all your lovely scarves on full display. 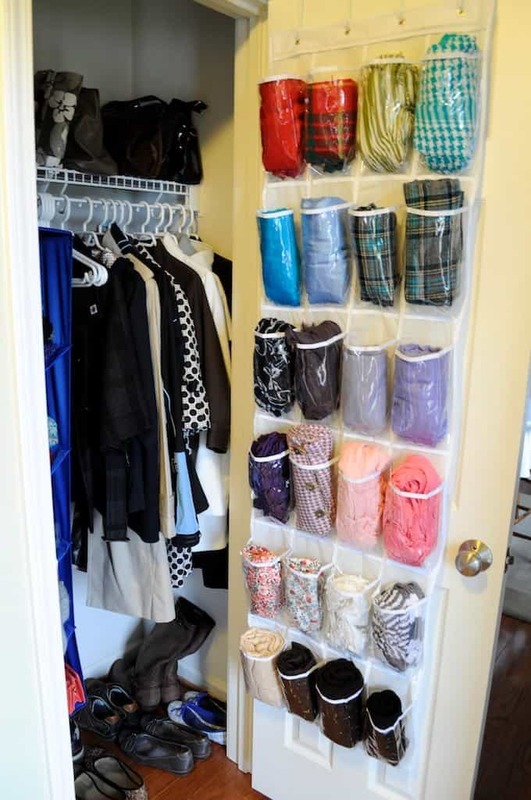 If you’re on a budget, grab a behind-the-door clear plastic organizer that’s meant for shoes, and use it for scarf storage instead. 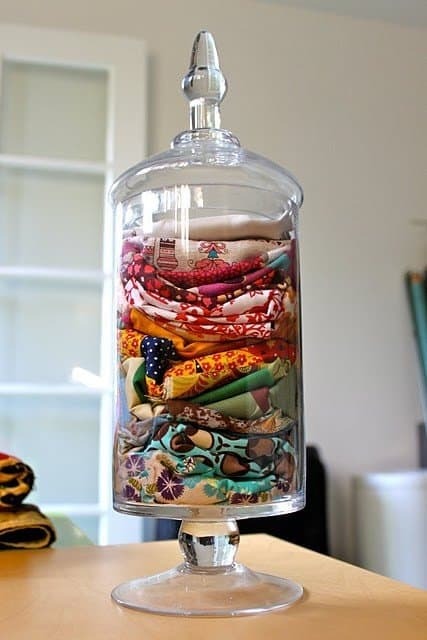 Now you don’t have to rummage through several piles of fabric because you can see them all clearly in one glance. This makes choosing the right scarf to wear for the day a whole lot easier. If you have a wall at home that’s not being used, occupy it with your scarves. 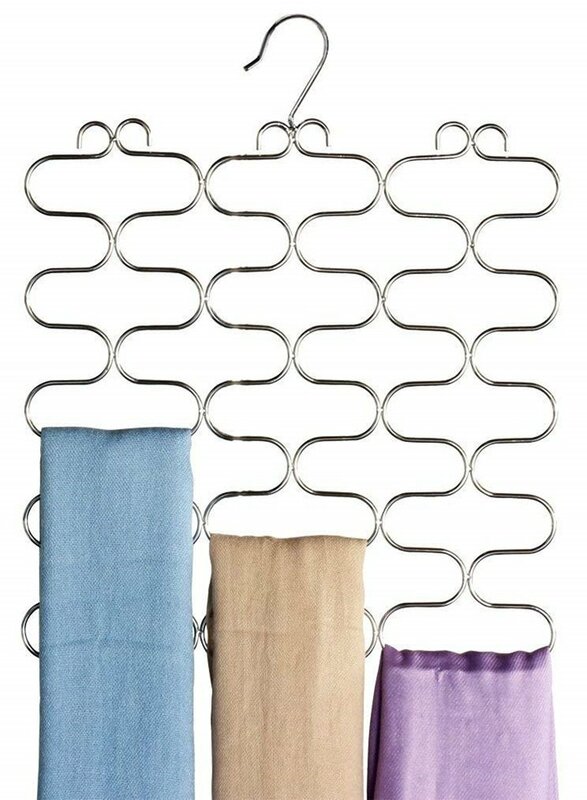 Attach towel rails (yes, the same ones you use in the bathroom) on the wall and start hanging! Yes, clear plastic cups work great as containers for scarves too. 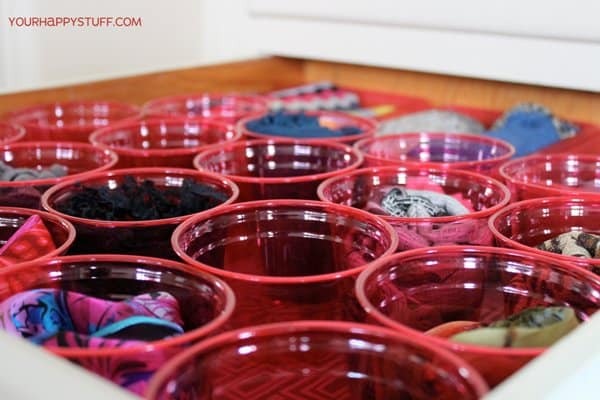 This is perfect if you store your scarves in a drawer. Place a clean paperboard on the surface of your drawer. Get clear plastic cups that are tall enough to fit inside, and then paste the bottom of each cup on the paperboard. Taddah! 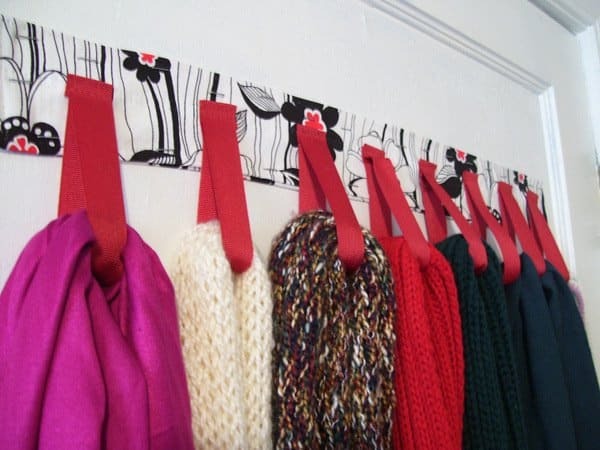 An easy DIY scarf storage. 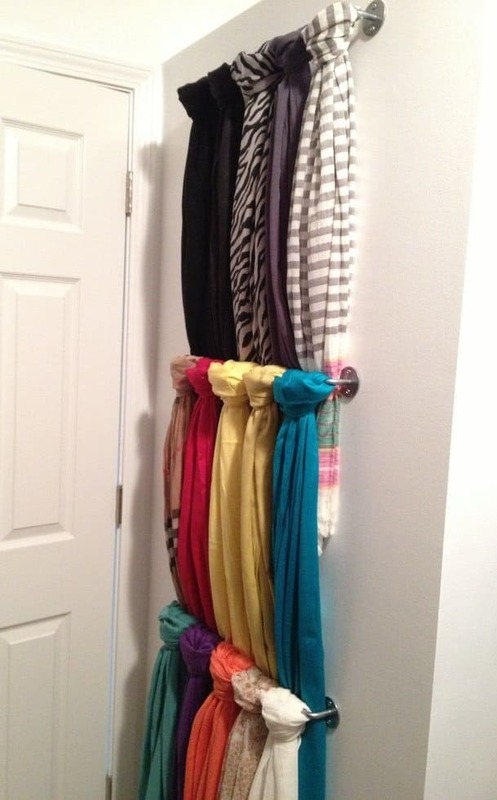 This is probably one of the easiest scarf organizing tricks to do. All you need are clothespins (or clamps), a tension rod or a thick metal wire, and you’re all done. Need we explain how you can pull this off? If you can’t find a tension rod or wire, you can also do this trick on a hanger. This one is easy to do, but only if you have the time and energy to get really crafty. You’ll need some fabric, ribbons, and of course, some sewing skills to create this scarf organizer. The same principle used on those clear plastic cups (#4) also applies to these cylindrical gift boxes. But if you like it a little different, you can try the trick from the second picture below. 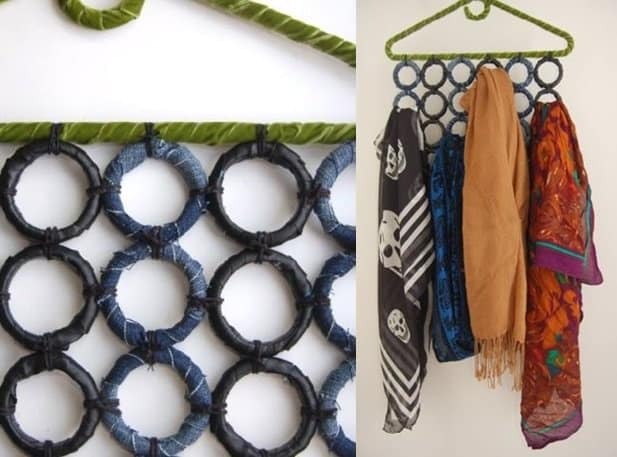 Create a “hanging” scarf organizer using the round gift boxes instead. 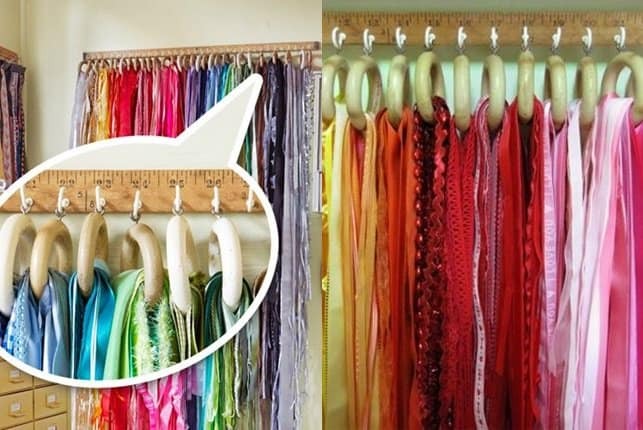 Honestly, if you don’t have the time, you can easily buy a scarf hanger like this one on Amazon. But if you’re the type who enjoys personalizing everything you own, then this DIY trick is for you. You simply need a hanger, several curtain shower rings, some cord, and some scrap fabrics to complete this project. Oh, the jar. It’s very glamorous, very elegant, and very posh looking. But if you want to make it really useful, turn it into a scarf container. 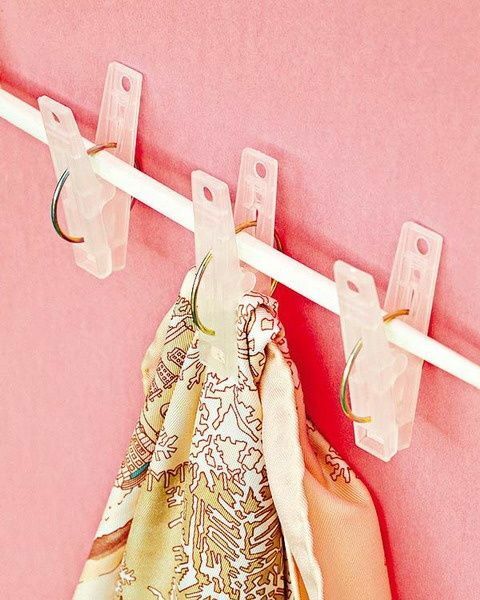 We agree you may experience some difficulty getting that scarf at the bottom of the pile, but hey, you hit two birds using one stone with this trick — colorful home decor (admit it, it’s quite an eye candy) and scarf storage — which means, it’s definitely worth considering. This one’s a shabby chic and clever way to store your scarves and ribbons (if you’re into arts and crafts). You need a wooden meter stick, several hooks, and wooden shower curtain rings to pull off this project. Will you try this for fun?